COLORADO SPRINGS, Colorado (August 10, 2017) - Riders in the first stage of the Colorado Classic powered to exciting finishes in both the men’s and women’s races Thursday, with hometown hero Jenn Valente snagging the women’s overall lead and John Murphy sprinting down the stretch to capture the blue Gates Overall Race Leader Jersey for the men. Stage 1, presented by UnitedHealthCare, featured a harsh hill climb up Ridge Road, followed by a dramatic descent for both the men’s and women’s races. On the men’s side, weather played a huge role in the final two laps, as riders battled thunderstorms and small hail for a good portion of their contest. Unable to see through his glasses following the downpour, Murphy (Holowesko/Citadel Racing p/b Hincapie Sportswear) said teammates Joe Lewis and Bryon Miguel guided him through the field to the finishing sprint down the final 500 meters of the course. “It was a perfect lead out -- text book -- and I was super happy to be able to go all the way to the finish,” said Murphy, who has the distinction of being the last man to win a stage of the defunct Pro Challenge with a victory in Denver in 2015. He also won on a stage of the Tour of Utah last week, and wasn’t sure to what he could ascribe his newfound success. Owen said he’s been slowed by injuries, “so it’s nice to get some results and get into better form following here and the Tour of Utah.” The Colorado Classic marks just his third race since returning from injury. The men’s race consisted of 6 laps, with each lap averaging 15.58 miles, totaling 93.5 miles traveled in the first stage. Each men’s circuit kicked off on Colorado Avenue, with cyclists continuing onto Pikes Peak Avenue and then hitting the steep climb up Ridge Road. The cyclists then descended down Juniper Way Loop through scenic Garden of the Gods, before cycling back to Colorado Avenue to start another lap. With 6 laps, all featuring an intense climb up Ridge Road, the total elevation climbed for Stage 1 totaled 5,943 feet. The first edition of the Colorado Classic includes 96 of the sport’s top men and 84 of the best women pro cyclists.  With a total field of 16 men’s and 15 women’s teams, the return of pro cycling to the Centennial State is set up for a high-energy week of racing. Valente (Sho-Air Twenty 20) led a sprint down the final straightaway to capture the first stage of the Colorado Classic, securing the win in front of hometown friends and family. “It was a very chaotic sprint. People were kind of all over there and everybody was trying to set up their sprinter, so it took a lot of reading the race and not jumping in too early but still making sure you’re off the front,” said Valente, who edged Samantha Schneider (ISCorp powered by Progress) in second and Emma White (Rally) in third. Valente won a gold medal at the UCI Track World Champions this spring, along with a silver medal in the team pursuit at the 2016 Rio Olympic Games. Valente is a San Diego, California, native who attends University of Colorado, Colorado Springs, where she studies mechanical engineering. 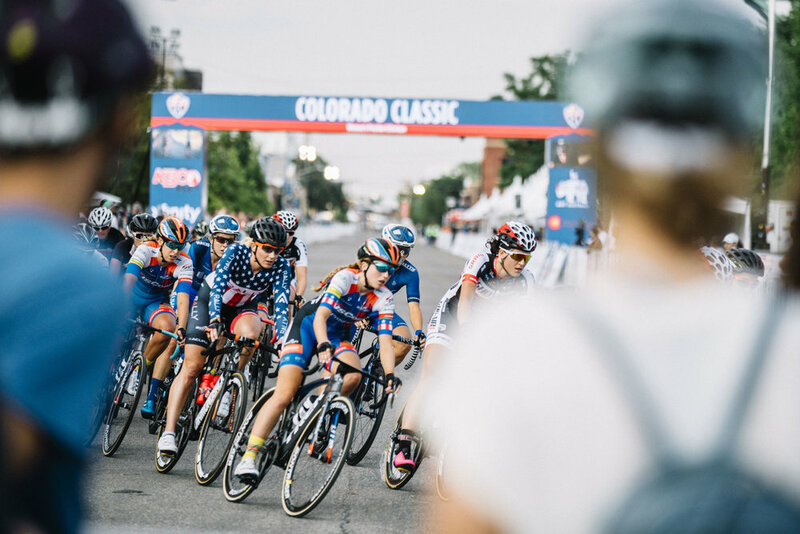 Stage 1 of the women’s Colorado Classic consisted of two long circuits, as riders also faced Ridge Road’s strenuous hill climb before descending in the Garden of the Gods. Following the two long laps, the women’s Stage 1 also featured a short circuit downtown, which consisted of three laps circling around Cascade Avenue to Tejon Street. With the two long laps, which were 15.58 miles each, and three short laps, which were 2.4 miles each, the women’s Stage 1 race totaled 38.36 miles and had a total elevation climb of 2,230 feet. Tomorrow’s Stage 2 presented by Helix will take riders to Breckenridge for a test of their strength and endurance with on a 10 Lap circuit for men and a five lap circuit for women including one of the toughest hill climbs up Moonstone Climb. The women will do five laps covering 32 miles with a start time of 11 a.m. Men will do 10 laps covering 64 miles with a start time of 1:10 p.m. The race will be televised domestically on NBCSN, internationally on Eurosport 1 where it will reach 160 million HHs in 70 countries, and live streamed on NBC Sports Gold — NBC Sports Digital’s live streaming direct-to-consumer subscription app. Paul Sherwen will call the action on NBCSN and NBC Sports Gold, joined by analyst Christian Vande Velde and reporter Bob Roll.